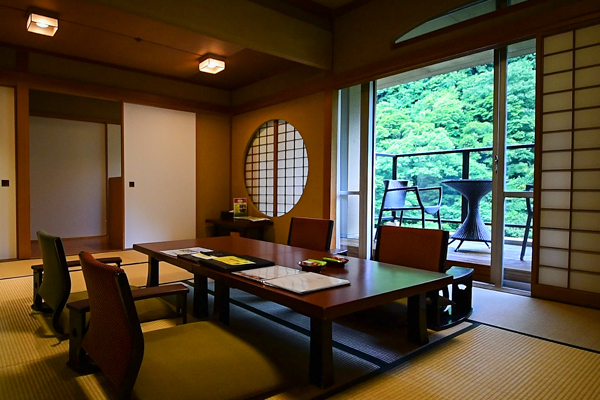 Hotel Sansuirou is a hot-spring hotel located in the Yugawara area, about an hour and a half from Tokyo by train. 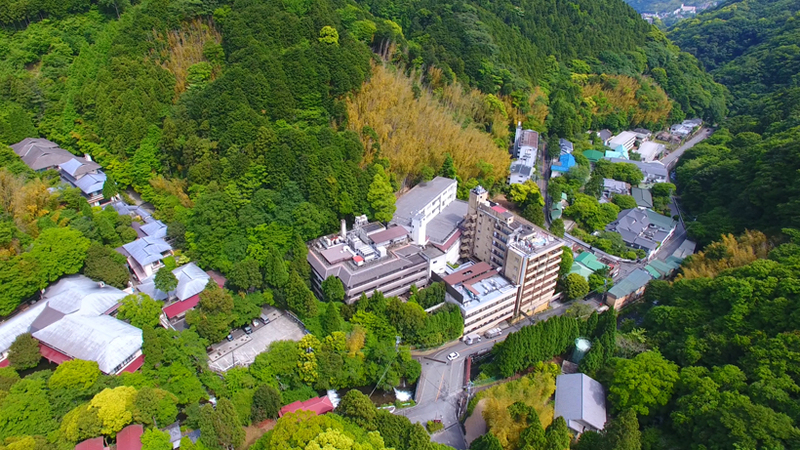 The hotel is surrounded by nature for guests to enjoy the unique charms that each season has to offer: the cherry blossoms in spring, the green mountains in the summer, the autumnal tints in the fall and the snowy landscape in the winter. Our guests can enjoy a view of the nature surrounding the hotel while refreshing body and mind in our panoramic communal open-air bath. Many of our rooms have their own open-air baths as well, so our hot springs can also be enjoyed in a more private environment. Our Japanese cuisine is not only delicious but also beautiful to look at. 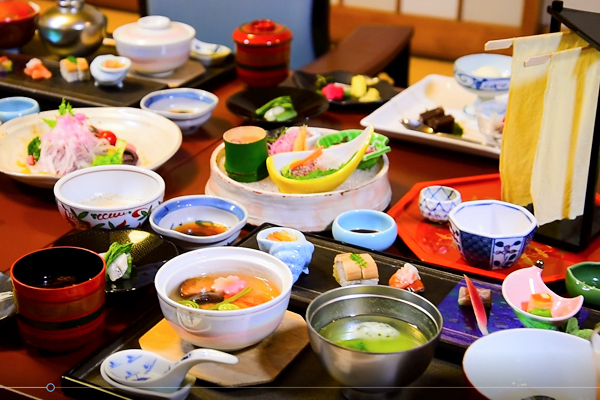 Please schedule a stay at Hotel Sansuirou, where you can experience true Japanese tradition, for your next trip to Japan. Our staff is eagerly looking forward to your visit.